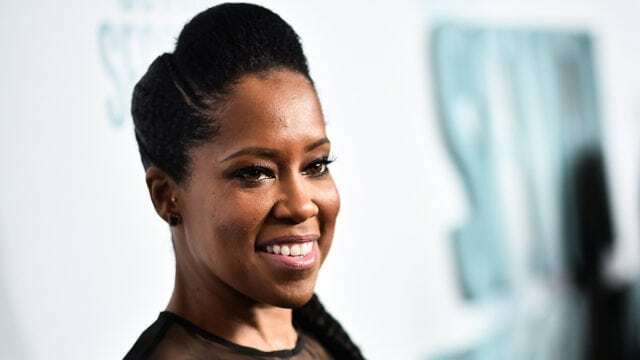 Who Is Regina King, Her Net Worth, Son, Age, Husband, Is She Related To Reina? Regina King is a talented award-winning actress that is best known for her work in ‘Ray’ (2004), ‘Southland’ (2009 – 2013), and ‘American Crime’ (2015 – 2017). King, who is also a director and voice-over artist, has received critical acclaim for voicing the characters of Huey and Riley Freeman in the adult animated sitcom, ‘The Boondocks’ (2005 – 2014). Age and Early Life – Who Is Regina King? Ms. King was born Regina Rene King to Gloria and Thomas King on January 15, 1971, in Cincinnati, Ohio. Her mother worked as a special education teacher while her father was an electrician. The family later moved to Los Angeles, California and settled in View Park neighborhood of Windsor Hills where their daughter grew up. She attended the famous Westchester High School in Los Angeles, whose alumni include actress Nia Long, director Tim Story, jazz pianist Eric Reed, and former NFL player Kevin Johnson. King graduated in 1988 and went on to enroll at the University of Southern California. While still in high school, Regina King had already moved into showbiz, starting her career as an actor in 1985. Her first role was in the sitcom ‘227’ where she played the role of Brenda Jenkins. After ‘227’ ended in 1990, King moved on to movies, appearing in John Singleton’s ‘Boyz n the Hood’ (1991). John Singleton was said to be impressed with King’s acting which led to the pair forming a relationship that transitioned into two more movies in quick succession; ‘Poetic Justice’ (1993) and ‘Higher Learning’ (1995). In 1995, she reunited with actor Ice Cube whom she acted with on Singleton’s movie ‘Friday’ and then starred in the romantic comedy ‘A Thin Line Between Love and Hate’ (1996). Other notable 90s movies in which she appeared in include ‘Jerry Maguire’ (1996), ‘How Stella Got Her Groove Back’ (1998), ‘Mighty Joe Young’ (1998), and ‘Enemy of the State’ (1998) which earned her a NAACP Image Award nomination for outstanding actress. In 2001, Regina King got nominated for an NAACP and BET Award for her role in ‘Down to Earth’. She later won her first award, winning the best actress at the BET Awards for her role in ‘A Cinderella Story’ (2004). Regina won two more best actress awards from BET for her roles in ‘Ray’ (2004) and ‘Miss Congeniality 2: Armed and Fabulous’ (2005). Her role as Margie Hendricks in ‘Ray’ further earned her a Satellite and NAACP Image Award. In recent times, Ms. King has appeared as Detective Lydia Adams in the crime drama series ‘Southland’ and also in John Ridley’s ‘American Crime’. Her role in the latter earned her a Primetime Emmy Award for Outstanding Supporting Actress. She has further featured in acclaimed series like ’24’, ‘The Big Bang Theory’, and ‘Shameless’. Regina King is said to have an estimated net worth of $12 million which she has earned through her various roles in movies and series. That figure is set to go high in the coming years as King has transitioned to become a director. She has most notably directed episodes of series’ like ‘Scandal’, ‘Animal Kingdom’, ‘This Is Us’, and ‘The Good Doctor’ with a number of other upcoming projects in the works. Regina King was previously married to former recording artist and music executive, who once served as vice-president of Warner Bros. Records, Ian Alexander. The couple was married for about 10 years, from 1997 to 2007, having previously dated for a while. King, however, filed for divorce after he reportedly cheated on her. The pair share a son, Ian Alexander, Jr. who was born on the 19th of January, 1996, a year before King and Alexander Sr. exchanged vows. Ian Alexander, Jr. is reportedly following in his mother’s footsteps to work as an actor. He is best known for his work on ‘Yo Gabba Gabba!’ (2007) and ‘The Snowy Day’ (2016). Is She Related To Reina? Regina is the older sister of actress Reina King. The younger King was born on April 11, 1975, in Los Angeles, California. She began her acting career around the same time her big sister did when she appeared as Carolyn Williams in the TV sitcom ‘What’s Happening Now! !’ (1985 – 1988). She went on to feature in other movies like ‘Maid to Order’ (1988), and ‘Scrooged’ (1988). Reina King’s most recent project is in the short film ‘A Hollow Place’ (1998) before she retired as an actress.